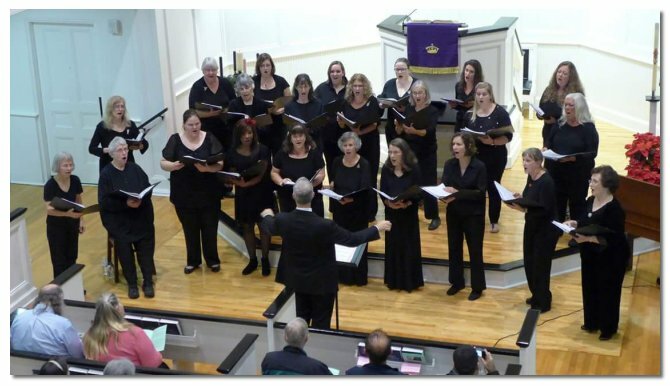 In the Fall of 2000, Charles Witmer founded Voces Angelorum, a volunteer women's chamber choir, to give singers throughout the Tallahassee metro area the opportunity to sing in a small and intimate community choir. Our ranks include music teachers, students, political advocates, state workers, and a variety of other professions. Voces Angelorum is dedicated to masterfully performing choral music of excellence. We sing to inspire and share the love of music with each other and our community. Voces Angelorum is a non-profit organization sustained by the financial contributions, which are tax deductible, of its audience and members. In loving memory of our founding director, Charlie Witmer. (Music Director) is the choral director at Lincoln High School and music director at Centenary United Methodist Church in Quincy, FL. Before moving back to Tallahassee in 2001, Scott was the choral director at Palm Bay High School in Melbourne, FL and on the music staff at First United Methodist Church of Melbourne. He received both his Bachelor and Master of Music Education degrees from the Florida State University and is a frequent clinician for honor choirs throughout Florida and Georgia. Scott has also served as President of the Florida Chapter of the American Choral Directors Association and Co-Director of Music at Tallahassee Heights United Methodist Church.